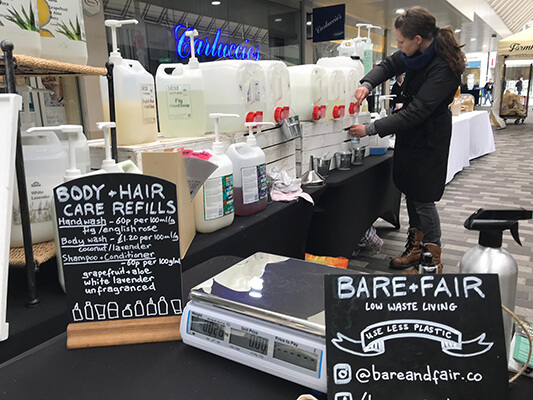 Inscale customer Bare + Fair, a zero-waste shop specialising in sustainable homewares and personal care products, wanted an affordable, simple and efficient way to measure quantities of their refill products by weight. 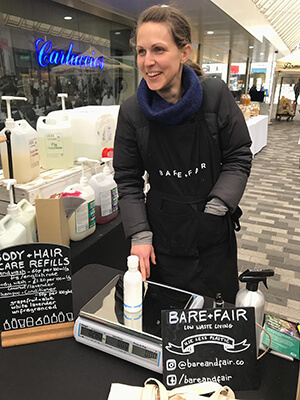 'The scales are a valuable piece of equipment as they enable us to quickly tare containers, are simple to use and robust enough to deal with the outdoor environment of the market'. Adam Equipment are a leading UK weighing equipment manufacturer based in Milton Keynes. 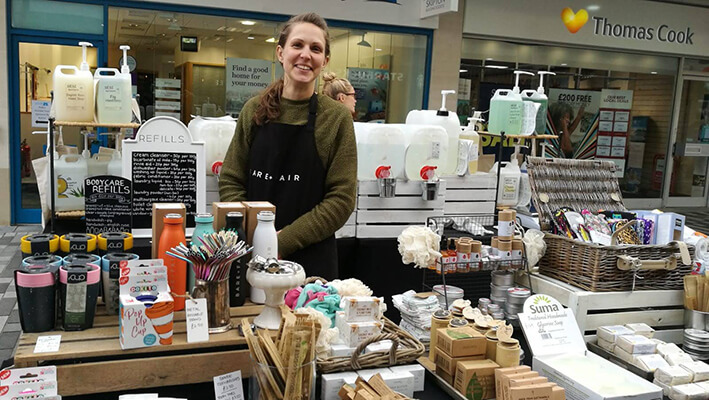 Established in 1972, the company prides itself in supplying scales and balances that cater a wide variety of industries including retail, industrial, medical, food and chemical. Visit Adam Equipment's website to view a full list of products. The Adam Equipment AZextra trade approved retail/shop scale supplied by Inscale, combines fast price processing technology with quick PLU recognition software that delivers all the features needed in today`s retail environments. The AZextra has proven legacy as a robust, reliable POS scale, and for these reasons we believe it is the best price computing scale for retail/shop processing applications. Want your business to be featured on our website? If you would like your business to be considered for inclusion in a case study, with the potential to be viewed by thousands of people per month, then please contact us on web@inscale.co.uk. Along with a photo of your purchase(s) in use, we can describe how the product(s) helps your business, provide an overview of your business and link to your website.